Being a radio or television personality isn’t just about the flows and rhythms, it really takes a lot of hard work and determination. Charlamagne Tha God is a very unique media personality and when it comes to engaging his audience, he is very good at the craft. He garnered fame following his appearance on the VH1 show titled The Wendy Williams Experience. Since then, he has been making the rounds as one of the top-notch radio presenters in New York City. Who is Charlamagne Tha God? Lenard McKelvey, popularly known by his stage name Charlamagne Tha God, is a multi-talented American television and radio personality, associated with New York City-based radio station known as WWPR-FM (Power 105.1). He currently works as the host of the MTV2 show titled Uncommon Sense and he is also one of the anchors of the radio show titled The Breakfast Club. Other anchors include Angela Yee and DJ Envy. 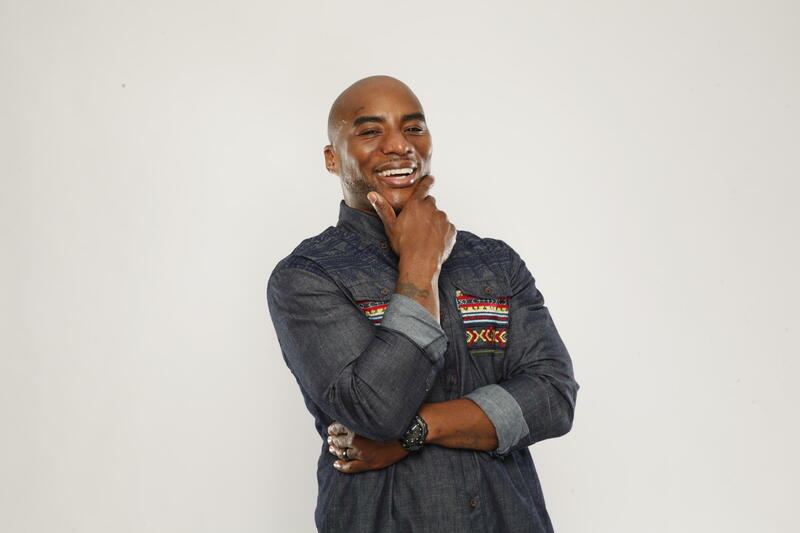 Charlamagne also serves as a video jockey for The Week in Jams alongside DJ Envy and Sofi Green. The multi-talented star was born in Charleston, South California on June 29, 1978. His birth name is Lenard McKelvey and his parents are Larry Thomas McKelvey and his wife. He was raised in Moncks Corner, South California. While growing up, McKelvey experienced a rough childhood and was involved in several illegal activities. He was arrested twice for possession of illicit drugs such as marijuana and cocaine. On his third arrest, his dad refused to bail him and after spending 41 days in jail, he was later bailed by his mother. When he came out of prison, McKelvey tried his possible best to change his lifestyle and become a better person to the society. First, he enrolled in a night school and also started working as a radio intern. After a while, he adopted the stage name Charlamagne Tha God and began assisting Wendy Williams on her show titled The Wendy Williams Experience on VH1. After he left the show in 2008, he joined Power FM where he started hosting The Breakfast Show with DJ Envy and Angela Yee. Furthermore, he appeared on the MTV2 comedy series titled Guy Code from 2011 to 2015. Alongside Andrew Schulz, he began hosting a podcast titled The Brilliant Idiots. He has hosted other television shows such as Charlamagne & Friends, MTV New Year’s Live from Times Square and 2015 MTV Video Music Awards Pre-show. Currently, he is the host of the popular MTV2 show titled Uncommon Sense with Charlamagne Tha God, as well as, BET show titled Inside the Label. Aside from his radio and TV career, Charlamagne is also a wonderful writer and has released a book titled Black privilege: Opportunity Comes to Those Who Create It. The book was published in 2017 and was one of the top New York Times bestselling non-fiction. He has appeared in movies including Empire, Grow House, and Ride Along. Who is His Wife Jessica Gadsden and Daughter? Charmlamagne Tha God is someone with an impeccable personality. Being a media celebrity he has won the heart of so many ladies with his brilliant and engaging talk shows, nevertheless, he hasn’t been involved in many relationships. He is married to his high school sweetheart named Jessica Gadsden. Jessica is two years younger than he is and they both hail from South California. She graduated with a degree in journalism and Mass Communication; she also got her MBA from Webster University. Jessica currently works as a fitness instructor, specializing in bodybuilding, gymnastics, and bodyweight. The amazing love story of Charlamagne and his wife started way back in high school. They have always supported each other irrespective of their different career paths. After several years of successful relationship, they decided to seal their love with a nuptial bond in 2014. Their wedding was held on September 6, 2014, and was attended by close friends and family members. While some celebrities enjoy the glamour of the limelight, Charlamagne, on the other hand, has chosen to shield his family from media interference. Although he always mentions them on his shows and podcasts, he doesn’t disclose details about them in the media. Together with Jessica, Charlamagne has two adorable daughters but has not revealed any of their details including their names until now. The amazing couple has been married for over four years. Charlamagne isn’t just tall but handsome as well. He is of an average height, standing at 5 feet 6 inches. His masculine bodybuild will show you that he does pretty much work out at the gym, putting himself in a good shape. In addition to that, he has body measurements (chest-biceps-hips) of 42-15-33 inches and weighs 72 kg. His hair color is black while his eyes are brown.